Just checking in to say hello and share with you my two new pouches! 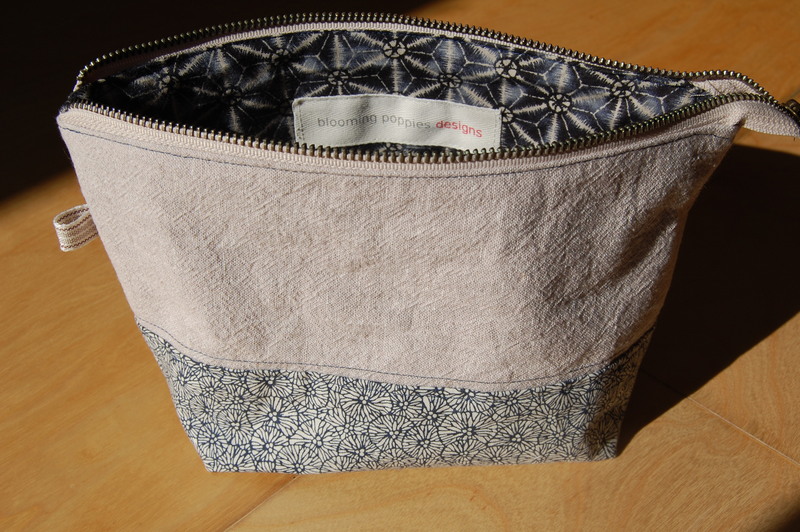 I know, I’m on a bit of a “pouch kick” at the moment…. please bare with me. I ordered some new, higher quality zippers from this lovely Etsy seller. Jennie was so easy to work with and helpful with all my many questions! 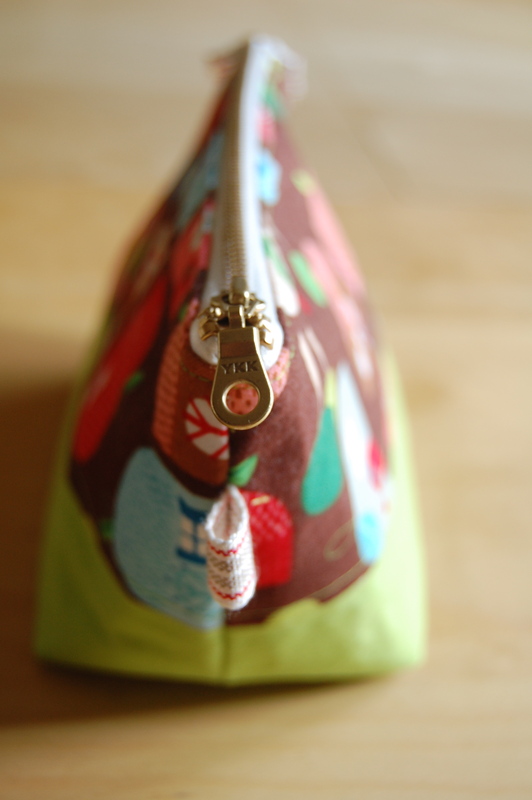 I love these new zippers and will definitely be buying from her for all my zipper needs. They make such a difference in the overall look of the pouch. 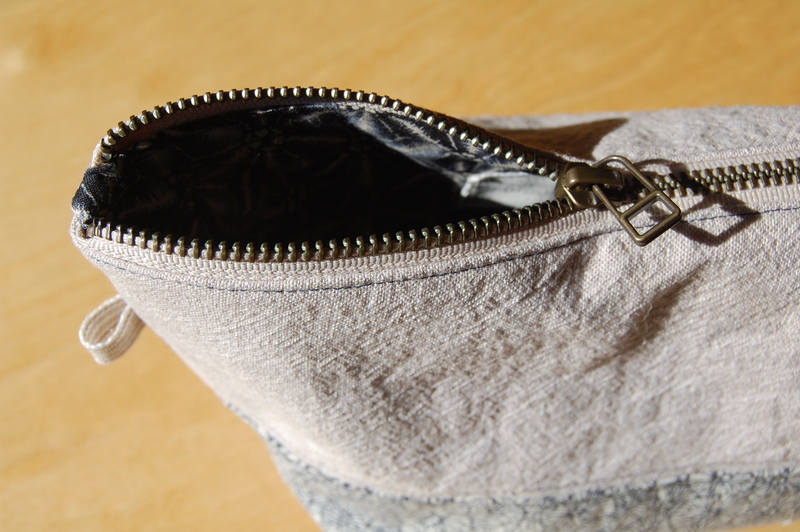 The cotton and metal combination feels more substantial and sturdy; important for a functional pouch like this. 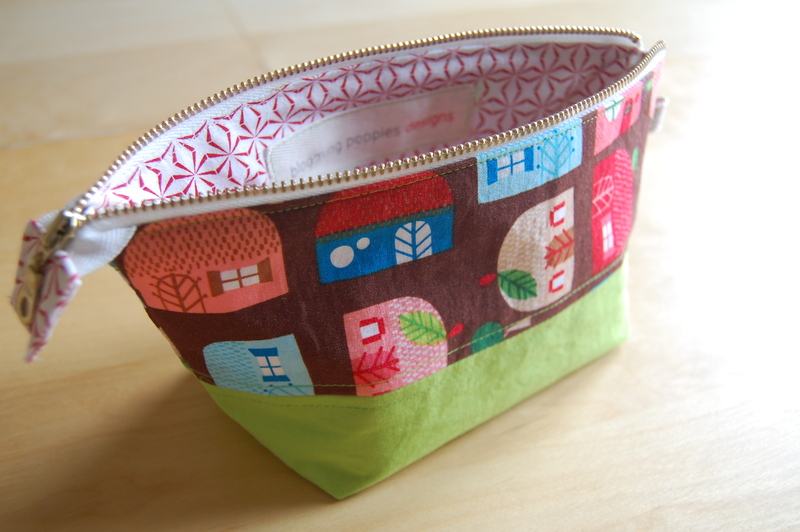 I’m having so much fun with these little pouches, however I’m also finding little pockets of time to do a bit of quilting……. more on that later this week! love them! bet if you made some awesome lunch bags for school with vintage material they would go over like crazy too! Hard to find. Hi Karen. I’m loving your pouches. don’t see a link to your etsy store on your website… am I missing it? Wondering about the dimensions of the pouches. I think they will sell very well!